Stories like this got me thinking about landscape art in a different way, as a target for burglary. A Cézanne painting, View of Auvers-sur-Oise (c. 1879-82) that I've always liked (the postcard I'm holding above was purchased just after I did my A-levels) can no longer be seen because it was stolen on millennium night. Here's how The Guardian reported the burglary on 3 January 2000. There are apparently suspicions that this painting was stolen to order by a collector, obviously not a person to be satisfied with an Ashmolean Museum postcard. Fortunately art thefts are too rare to consider any prevailing aesthetic in the landscapes targetted. There's the painting that gave a name to an art movement - Monet's Impression, soleil levant - stolen in Paris by a yakuza gangster; Nebelschwaden by Caspar David Friedrich, taken along with two Turners by thieves who had hidden overnight in a Hamburg gallery; Govaert Flinck's Landscape with an Obelisk, lifted along with other Dutch masterpieces in Boston by a gang dressed up as policemen (one wearing a fake wax mustache); and Marine by Claude Monet, owned by a museum in Rio de Janeiro, which disappeared with its burglars into the carnival crowd, melting into the city like the thief who got away with his Cézanne while millennium fireworks created the perfect diversion. The Serpentine Gallery currently has two excellent exhibitions, not to mention the striking new Bjarke Ingels pavilion. I'll write about Etel Adnan separately; here I offer a few words about Alex Katz, and some images too because, unusually, you are allowed to take photographs. The show is called 'Quick Light', suggesting moments of illumination, sun glancing off objects or perhaps, in the large painting above, windows glimpsed at night from a passing car. Get up close to this painting and there are no further clues to the forms of the buildings or the identity of the city, all is black. Such scenes are non-specific but were painted in New York, where Katz was born back in 1927 and where he started painting among the Abstract Expressionists and hanging out with the New York School poets. In another nocturnal image, Untitled Cityscape 4 (below), we see only a fragment of a dark building, a two-dimensional shadow against a cold grey sky streaked with ghostly cloud forms. It is like a cropped detail from an Edward Hopper painting. The fork of an aerial and corner of a dimly lit window have an air of menace. What we are shown of the roof resembles a fortification. Some of the daylit scenes in this exhibition have an unsettling quality too - an air of mystery that you find in younger artists Katz has influenced like Peter Doig. 4pm 2014 is painted in sickly shades of green and the view of what looks like a distant boathouse is obscured by a tree whose leaves are blowing into the cold sky. As with Doig's landscapes, you often find yourself picturing a scene from a film, just before or after some darkly significant event. That cloud of leaves in motion reminded me of the park in Antonioni's Blow Up where you hear nothing but the wind in the trees. The painting below could be the illustration of a fable or fairy story, or some dream-like narrative by a Robert Walser or Franz Kafka. It is painted in flat planes of colour, like a Matisse, except for the feathery strands of grass which seem to be animated by a breeze. I thought again of cinema - the wind in the buckwheat in Tarkovsky's Mirror, the wheat swaying in Herzog's Kaspar Hauser. Katz has said that he wanted his large-scale paintings to have the quality of the blown-up faces and landscapes you see on a movie screen. Last Sunday I managed to get to the last day of the Balham Literary Festival, A Way of Being in the World, which was entirely devoted to questions of landscape and place, nature and the city. The first session, 'Running Riot In The Urban Landscape', focused on the disappearance of public space and ways to reclaim the streets. It featured academic/urban explorer Bradley Garrett, guerilla gardener Richard Reynolds and poet Inua Ellams who leads nocturnal cultural walks through cities. 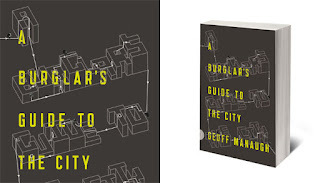 Their contributions raised fascinating questions about the effectiveness of such practices in exposing and challenging the power structures of the city. 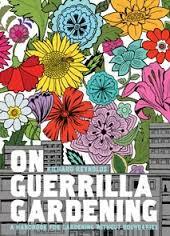 Guerilla gardening, for example, may have roots in the history of land struggles but today in Western cities it can, in a small way, help along gentrification and the withdrawal of local government from their responsibility to maintain the built environment. It was heartening though to hear that one London traffic roundabout persists as an island of lavender a decade after Richard first gave it a makeover. There followed two sessions featuring Cambridge academic and climber Robert Macfarlane. 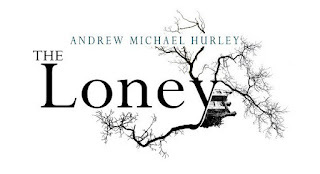 In the first he was joined by China Miéville who had delivered a new lecture on the eerie and the picturesque the day before (it has just been reprinted in The Guardian). 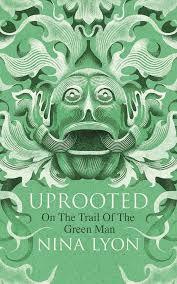 They were discussing one of many recent landscape-related books I've not yet read (for reasons partly explained in my previous post): Nina Lyon's Uprooted: On the Trail of the Green Man. The origins and meanings of the Green Man are impossible to trace - what is of interest is how this symbol has repeatedly surfaced in the culture. Is its current popularity an extension of the urge to identify with animals, China Miéville asked, and would we soon be seeing hipsters in vegetable masks? 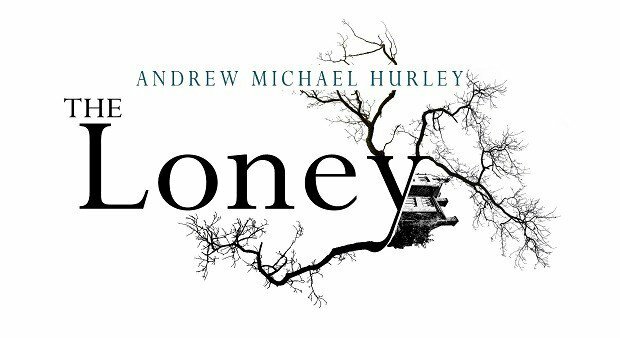 Is it a symptom of the urge to aggrandise and domesticate nature by those unable to afford to live in cities but unwilling to live too far away from them? Is there a connection, Robert Macfarlane wondered, with new ideas about the ecology of forests (the wood wide web) and speculations on the non-human by contemporary philosophers like Jane Bennett? Ideas in his session sprouted like foliage from the mouth of the Green Man, including China Miéville's notion that the leaves are actually disappearing into his mouth: nature inexorably being swallowed up. Fortified with an excellent pint, courtesy of Richly Evocative's Matt, I was ready for the Festival's final session 'And where next? 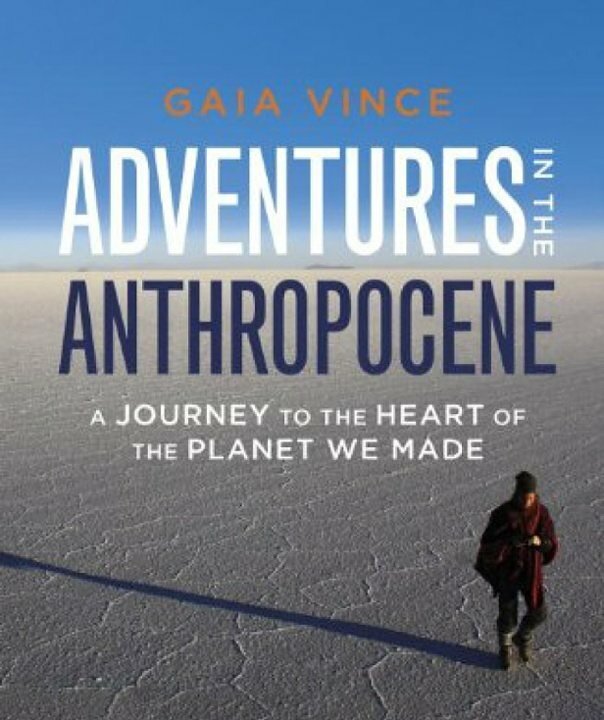 ', which sought to cover globalism, the growth of cities and the anthropocene. 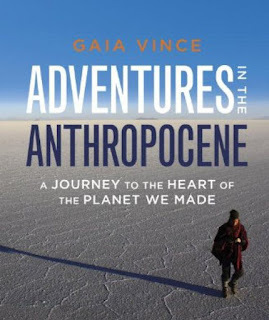 Science journalists Gaia Vince and Fred Pearce were joined by Owen Hatherley, who I always find interesting - I had seen him only a week before at our local Stoke Newington Literary Festival, talking about London with Rowan Moore (they gave it to Heatherwick and the London Garden Bridge with both barrels). This session also had thematic links to another fascinating talk I had gone to in Stokey - Becky Hogge and Ken Worpole discussing utopias - and to a Radio 4 programme Ken alerted me to afterwards, highlighting the Silicon Valley dream of establishing communities floating entirely free of the state. A few years ago I wrote here about filial conflict and garden design in the wonderful eighteenth century Chinese novel known in English as Dream of the Red Chamber. I recently finished reading another vast novel charting the rise and fall of a Chinese family, Chin P’ing Mei (The Plum in the Golden Vase), written at the end of the sixteenth century. Two essays on it have appeared in The New York Review coinciding with the publication of the first and final volumes of David Toy Roy’s translation, one back in 1994 ‘when Roy reported that he had already been working on the project for a quarter century’, and the other last year, when the eighty-year old translator finally made it to the end. It took me six months to read the five volumes my son is only just about managing to hold up for this photograph. they engage in perverse doings. The emperor only had five years to enjoy all this splendour before Kaifeng was captured by tribesmen from the north. Huizong was taken off to Manchuria and his garden smashed up. Resentment has built up during its construction, as the process of shipping 'so many huge rocks and plants had cluttered up the canals and transport system. There had also been endless corruption and compulsion during the entire high-speed plan'. Unsurprisingly Hsi-men Ch’ing got involved in this. At one point in the novel he discusses with an official the way the 'flower and rock convoys' had impoverished ordinary people, before inviting him to partake of a typically lavish lunch. Just as the collapse of the Song state can be ascribed to the way the country's resources were depleted by the emperor, Hsi-men Ch’ing's own graphically described demise is directly attributable to his excessive appetites. A recent piece for Atlas Obscura described some of the stories narrated by non-humans discussed in The Secret Life of Things: Animals, Objects and It-Narratives in 18th Century England, edited by Mark Blackwell. Such stories became so successful that 'by 1781, a bored reviewer in The Critical Review could complain that “this mode of making up a book, and styling it the Adventures of a Cat, a Dog, a Monkey, a Hackney-coach, a Louse, a Shilling, a Rupee, or — any thing else, is grown so fashionable now, that few months pass which do not bring one of them under our inspection.”' This made me wonder whether there are examples of it-narratives recounted by paintings - imagine The Picture of Dorian Gray as an eponymous novel, with its central character only able to wonder at the changes it found itself undergoing. I suppose though that paintings of things - a Monkey, a Hackney-coach - would be less appealing to write about than the things themselves. Landscape paintings would seem still less promising (unless they were used to tell the story of a particular place), though I can imagine an interesting narrative of the life of, say, a Van Gogh painting, from its birth in a windy field outside Arles to its incarceration in an airtight Tokyo bank vault. You sometimes come across versions of it-narratives in contemporary literature. 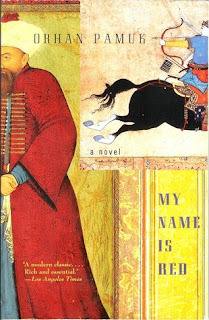 There are a sequence of them - a dog, a horse, a gold coin - in Orhan Pamuk's novel My Name is Red. This book is set in Istanbul among Sultan Murat III's miniaturists, whose work was starting to come under the influence of Venetian painting, the art of 'the Franks'. One chapter is told from the point of view of a picture of a tree and it is the nearest thing I can think of at the moment to an it-narrative by a landscape drawing. The tree begins by apologising that 'at this moment, there are no other slender trees beside me, no seven–leaf steppe plants, no dark billowing rock formations which at times resemble Satan or a man and no coiling Chinese clouds. Just the ground, the sky, myself and the horizon.' So to be precise, this chapter is narrated not by an entire landscape (a recent development in sixteenth century Western art) but by one of the four elements in a simplified version of a landscape. There isn't really a story-telling tree though. As we read, we realise there is a storyteller in a coffee house, improvising his tale on the basis of a sketch of a tree. Or, to be more precise, what we read is the story of this storyteller, recollected later by a character called Orhan who was a young boy at the time of the events of the novel. 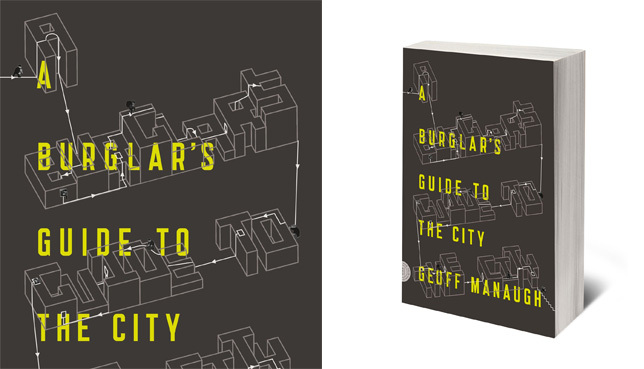 And even this is a simplification of a book that gets more complex the closer you look into it... But to return to that tree: I want to share here the last words of its story (and doing so in English I must quote another narrator, translator Erdağ Göknar, rather than Orhan Pamuk). These two short paragraphs on art and trees convey an important idea that underlies the plot of the novel and drives one of the court miniaturists in it to murder. 'A great European master miniaturist and another great master artist are walking through a Frank meadow discussing virtuosity and art. As they stroll, a forest comes into view before them. The more expert of the two says to the other: "Painting in the new style demands such talent that if you depicted one of the trees in this forest, a man who looked upon that painting could come here, and if he so desired, correctly select that tree from among the others."